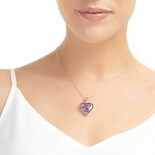 Ladies sterling silver heart necklace from Shrieking Violet. Crafted by hand, this sterling silver necklace with a pretty heart pendant is filled with real tiny forget-me-nots and purple verbena flowers. 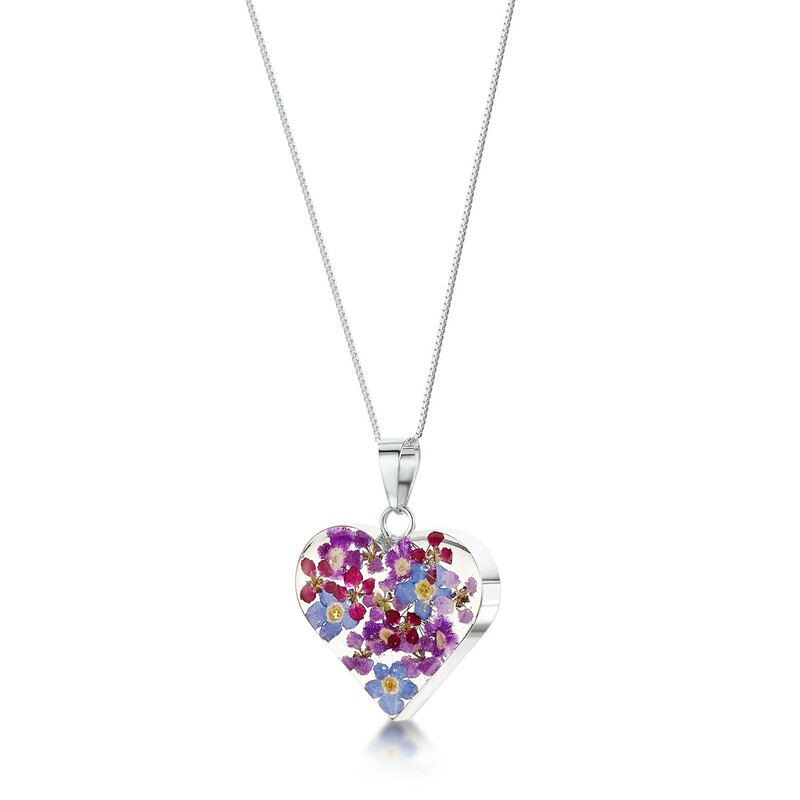 18 inch Sterling Silver Chain.A beautiful gift for a special friend or family member, it is even presented in a lovely gift box too.